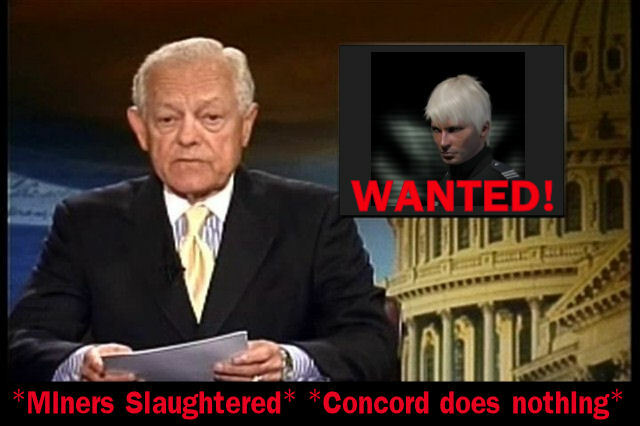 News reports are just coming in of a recent slaughter that has occured in the quiet system of Vitrauze. Early details are sketchy but it appears that the notorius pirate Anabaric gate crashed a mining party in the mining belt 2-1. The miners fresh out of school were busy collecting omber and other high end minerals, when the pirate landed in the belt and proceeded to destroy the entire operation before starting to shoot the escape capsules of the miners, 3 were killed before the rest finally warped their pods out to safety. The miners had fought valiently, their ships were ill fitted for the battle but had still valiently tried to swarm the Wolf class assult ship. Unable to significantly damage the craft they were quickly overwelmed by the deadly autocannons. Concord has registered the following kills in the system. In a related incident it would appear that a local good samaritan had tried to avenge the miners in his rupture class cruiser, but was also slain. lmao so funny, great post!